Sight! Sound! Action! Diesel fuel, Blown Alcohol, and the giddy expectation of an anxious crowd... this spectacle feeds an addiction for raw horse power. 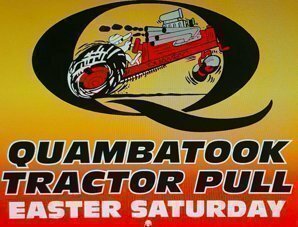 Any tractor pull may be called the ultimate contest between the proverbial immovable object and the irresistible force, but at Quambatook Easter Saturday 20th. 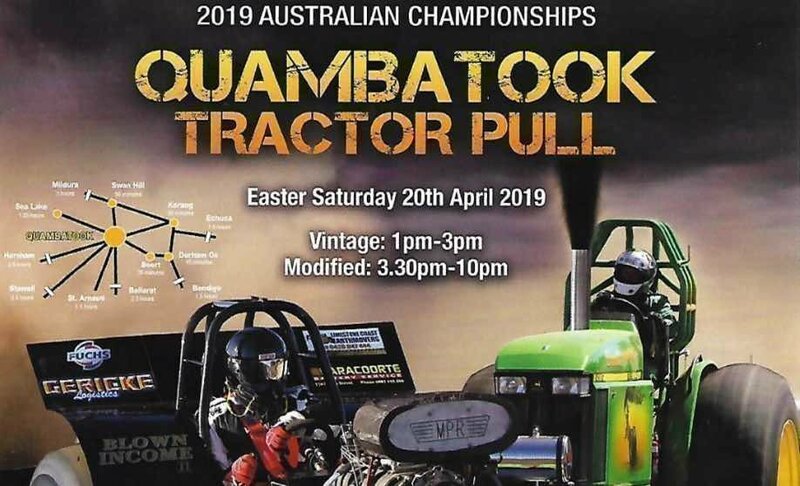 April 2019, driven by competitive spirit and brute force, horsepower is king when the tractor is hooked. As competitors take off the engines scream the RPM’s and push their equipment to the very edge, it won’t take long for the event to ‘gain traction’.